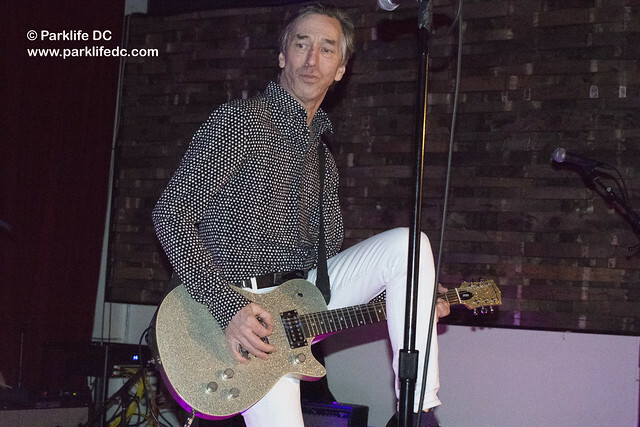 With talent and tricks aplenty, Keith and Ken often made the show for the very full City Winery on Feb. 1, doubling down at the edge of the stage together, or holding one another’s fretboards while riffing like some remarkably cool twin-torso’ed guitar god. 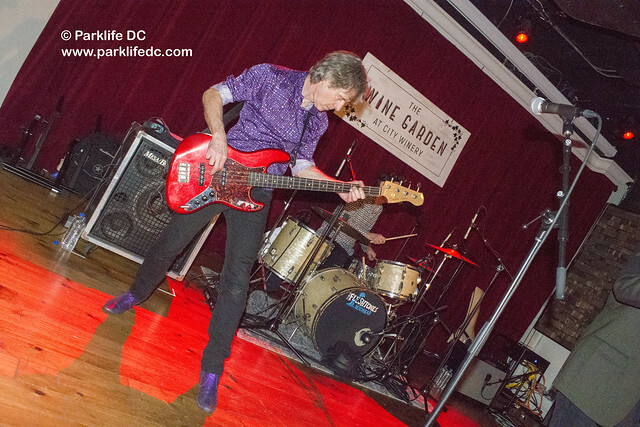 At 63, Keith has more power and vitality than men half his age. 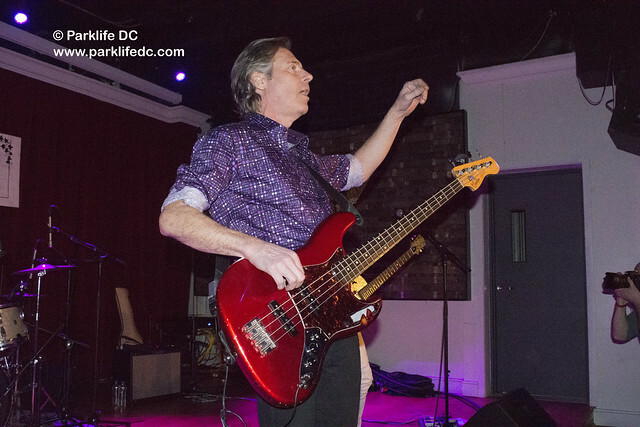 While that might sound like a cliche, seeing is believing, and Mr. Streng will make you a believer should you delight yourself with a concert by The Fleshtones. 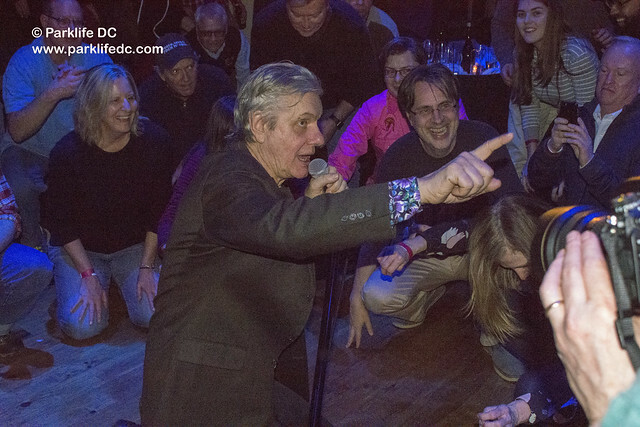 Once the rock started rolling, Peter Zaremba jumped into the vocals. You could say that Peter sometimes yipped and howled but he delivered every word from his tongue with velvety smoothness, a seasoned maturity worthy of his dignified visage. 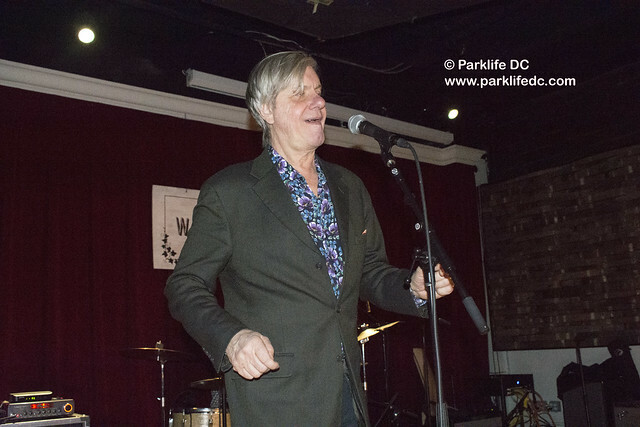 Peter’s energy was also unflagging, and he punched the good-time lyrics of The Fleshtones with a lusty enthusiasm that suggested he was having the time of his life. 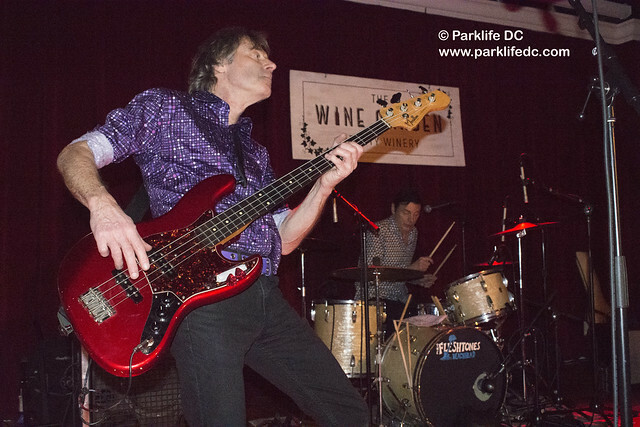 After “The Dreg,” from their 1982 debut full-length Roman Gods, The Fleshtones kept City Winery hooked with “The Girl from Baltimore” from their debut EP, Up-Front, cluing us in that the show would be chuck full of favorites from the band’s early days in Manhattan as contemporaries of the Ramones and Blondie at CBGB’s. 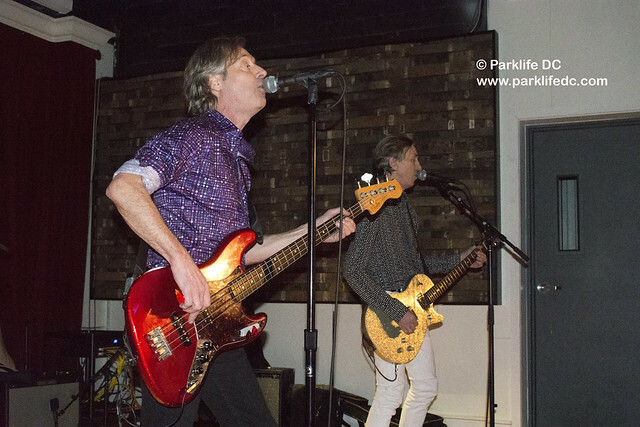 Still, there was a lot of room for new in the show in the first half of the concert particularly. 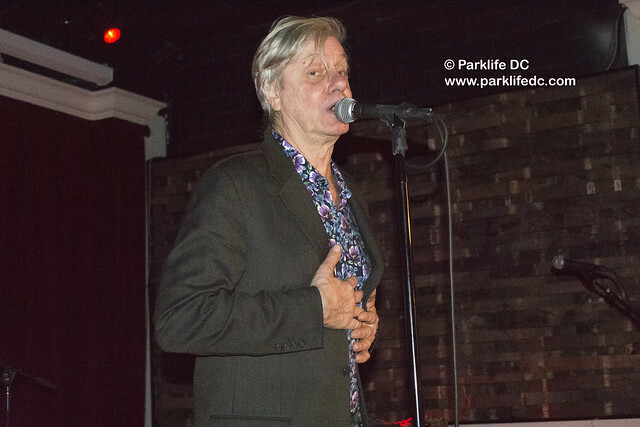 The Fleshtones presented several songs from their most recent full-length album, The Band Drinks For Free, released in 2016 via YepRoc, including “Suburban Roulette,” “Love My Lover,” and “Rick Wakeman’s Cape.” The Fleshtones most recent release is a rarities compilation, titled Budget Buster: Just the Hits! and published by Yep Roc last year. 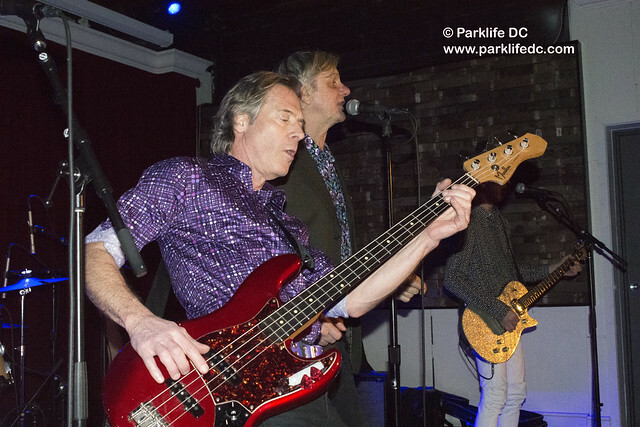 It’s a highly recommended bit of rock madness, perfect for whetting your appetite for their studio albums. 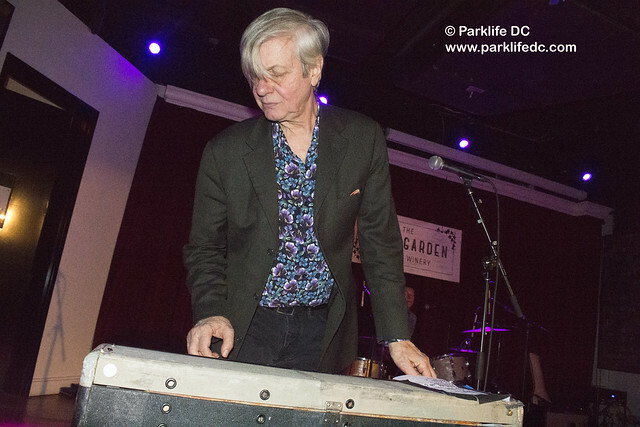 Another highlight from recent records by The Fleshtones included “Remember the Ramones” from 2014’s Wheel of Talent, an unabashed look at the heydey of their fellow CBGB’s stalwarts. 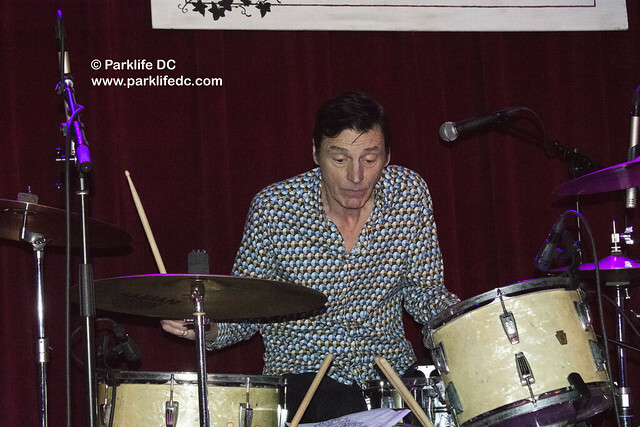 Here as always, Bill Milhizer set the pace on the drums, and he has particular moments to shine in a song that echoes the nonstop attack of a Ramones rocker. 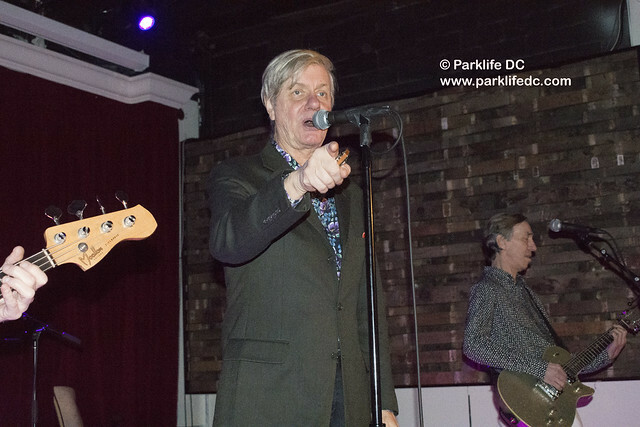 As The Fleshtones rhythm section, Bill and Ken served as a magnet that continually drew Keith and Peter back to the stage as they darted from side to side, and often into the audience. 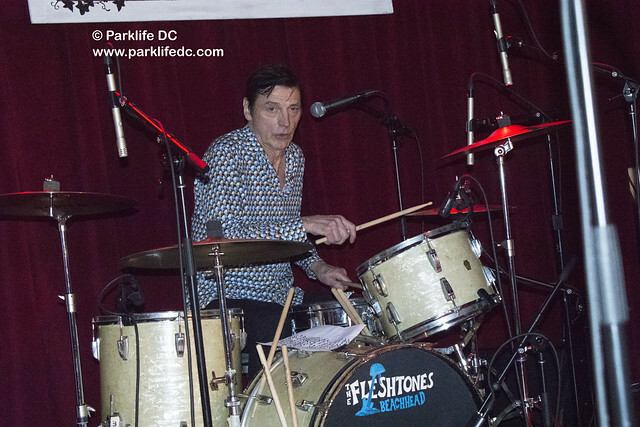 We too were drawn to the irresistible rhythms of The Fleshtones’ gentleman drummer. 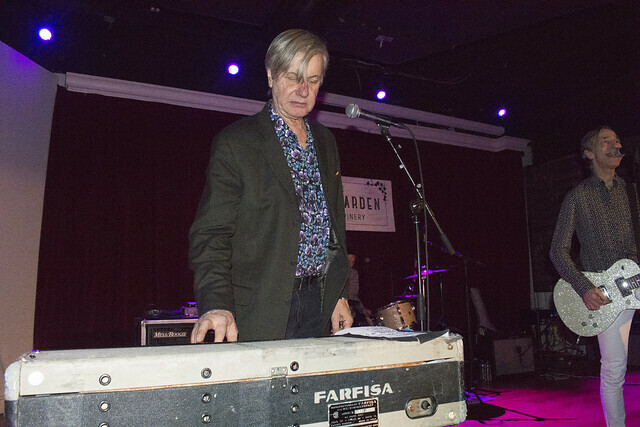 The Fleshtones returned to the beginning to close the show with an extended rendition of “American Beat,” reaching back to 1979 and their very first recorded output. 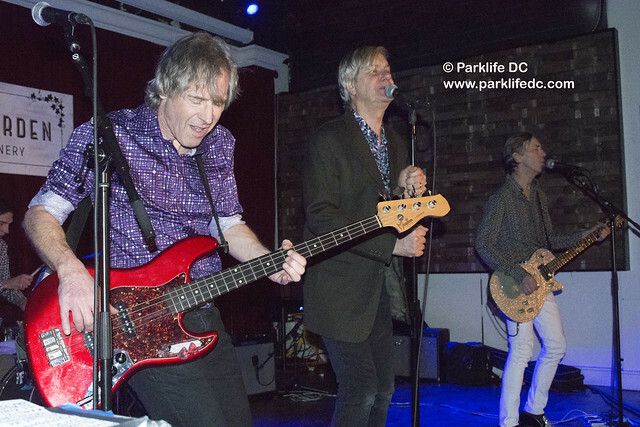 The rollickin’ salute to the golden years of American radio proved as infectious as ever, and The Fleshtones threw themselves wholly into the song, tumbling and rumbling across the stage. It was the perfect close to a perfect show. 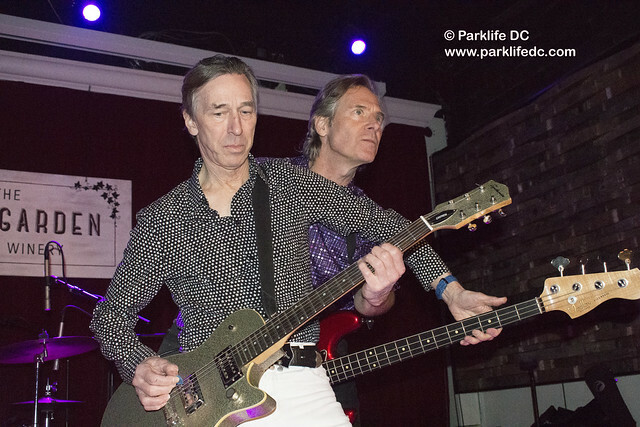 Catch The Fleshtones near you soon to see masters in their element. 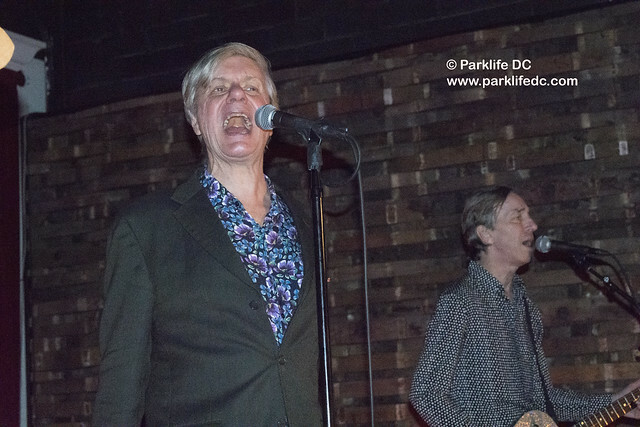 There is no finer time than a Fleshtones concert, and you’ll be a happier person whether revisiting them after some years or seeing them for the first time. 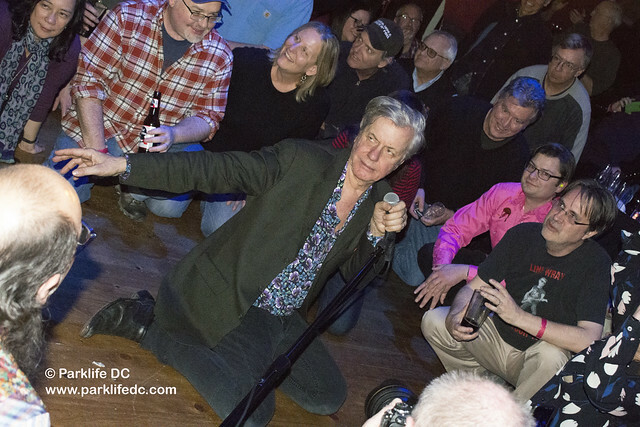 Here are some pictures of The Fleshtones performing at City Winery in DC on Feb. 1, 2019.